Hey guys and welcome to the first big Cover Madness Giveaway Hop hosted by Giselle from Xpresso Reads and Jenni from Alluring Reads! I've loved their Cover Madness giveaways in the past - it's such a great idea and I love looking at the pretties and discovering new books! The covers of the books we let you guys choose from should be gorgeous and relatively freshly revealed. I admit that some of mine have been around for a while but the books aren't published yet and I'm excited about them, so I guess that's okay ;) Here's my selection, click the covers to learn more about the books and make sure to read the rules below carefully. If you cheat, I will disqualify and delete all your entries. Make sure to read what to put in the rafflecopter box carefully! Writing 'done' or copying the message of the tweet does NOT count! If I say I want the link, then please copy-paste the link. I reserve the right to add/remove books from the list, make slight changes to the rules, or end the giveaway early. I am not responsible for books lost in the mail. Once I've put in the order, I am no longer accountable for what happens to the book. Good luck everyone! Let the cover-drooling begin! Rags & Bones would be my pick. Thank you. The Wicked Within is so gorgeous! I absolutely love that series so I can't wait to get my grubby little hands on it. Thanks for being a part of the hop! I'd love to win Crown of Midnight! 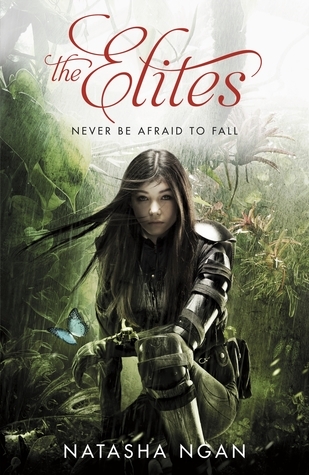 I think Tumble & Fall also has a beautiful cover! I would choose Curtsies and Conspiracies. Between the devil and the deep blue sea... it just sounds so good!! I'll like Between the Devil and the Deep Blue Sea. Between the Devil and the Deep Blue Sea! Great giveaway! Thank you! I'd probably go with Between the Devil and the Deep Blue Sea. As for non-included covers, I am nuts for Cruel Beauty. I'd choose Between the Devil and the Deep Blue Sea or Crown of Midnight! If I win I'd choose Crown Of Midnight! Oh YAY, you're participating in this giveaway hop too :D If we can pick the first book in a series of covers shown I'd go with Etiquette & Espionage because I scored Curtsies & Conspiracies at BEA ;) If not I'd definitely go with Between the Devil & the Deep Blue Sea ♥ Thanks for the awesome selection & chance to win! Unhinged would be my pick. Between the devil and the deep blue sea!! I love the cover for Into The Still Blue! I'd pick Between The Devil and the Deep Blue Sea. I would probably pick Crown of Midnight! Thank you for the giveaway! 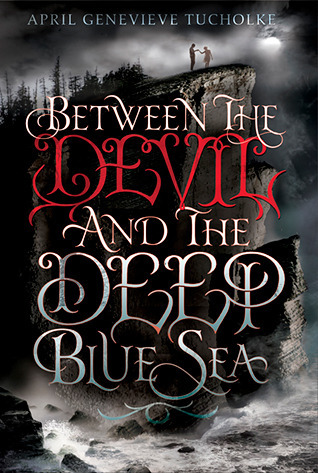 I would love to read Between the Devil and the Deep Blue Sea by April Genevieve Tucholke! Sounds like a great read! I might choose Crown of Midnight or Unhinged. Thanks! Recently Harper revealed a bunch of their covers and I love the cover for Cruel Beauty! I would pick Curtsies & Conspiracies. And another book that has a gorgeous cover? All that glows, Ruins, Into the Still Blue, Perfect Ruin(Especially this one is super beautiful <3). Crown of Midnight. I'm currently reading Throne of Glass and loving it. Thanks for the giveaway! A Darkness Strange and Lovely for sure! Thank you so much for the giveaway and all the great choices! The wicked within, I just really like the series and love the covers, and i really want it. I would pick Rags & Bones. I think the cover of Elusion and Rebel Belle are gorgeous! I might choose A Darkness Strange and Lovely, thanks! What book would you pick if you won (you can change your mind later I'm just curious)? What upcoming book do you think has a gorgeous cover that I haven't included? I like the "Crash Into You" cover. I think I would choose Unhinged! I'd probably choose Unhinged! Thanks! I love the cover for Elusion too. I think that Cruel Beauty has a gorgeous cover. Thanks for the giveaway. 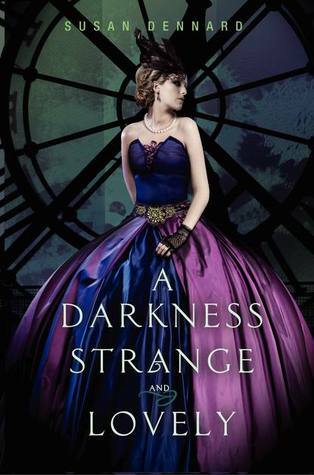 I'd love to read A Darkness Strange and Lovely. I would pick rags and bones. Thanks for the giveaway! The cover for Champion by Marie Lu is also ah-may-zing! It would be between The Elites, The Wicked Within, Unhinged and Fragile Spirits! Thank you for the awesome choices! 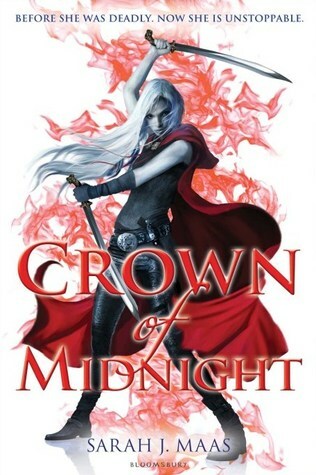 I would definitely pick Crown of Midnight, loved the first book in series. I really love covers for Champion (Marie Lu), Uprising (Lisa M. Stasse), Never Fade (Alexandra Bracken), Allegiant (Veronica Roth), All Our Yesterdays (Christin Terrill).. 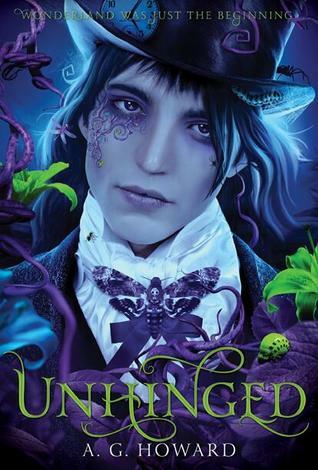 I would be picking Unhinged as I have already gotten to read the first few chapters and completely loved it. I looove the cover of Teardrop by Lauren Kate Also Endless by Jessica Shirvington, all of her covers are pretty. I'd choose Crown of Midnight! Can't wait! I can't think of any to-be-released covers that are above gorgeous. Between the Devil and the Deep Blue Sea! Thanks! I would love Unhinged if I won! Thanks for the great giveaway! The cover of Allegiant is absolutely gorgeous. Thanks for the great giveaway! I'd choose Between the Devil and the Deep Blue Sea. :) Oh, and Into the Still Blue has an amazing cover, too! I'd probably pick Crown of Midnight or Unhinged. Thanks for being part of the Hop! I think I'd probably choose Unhinged or Crown of Midnight - same as the comment above, huh! Mind you, I haven't really heard of the other books, but the covers are all GORGEOUS! I'd love Crown of Midnight and Allegiant has a good cover. Thanks. I would probably pick Between a Devil and the Deep Blue Sea. I am loving the cover for Crash Into you! I would love Unhinged. Other covers I love are Infinite and Evertrue. I would pick Rags & Bones: New Twists on Timeless Tales! I love collaborations Melissa Marr is a part of! I'd like to include These Broken Stars for an add to the upcoming gorgeous covers poll! Not only is the book ridiculously pretty, but the story sounds awesome! I would pick Curtsies and Conspiracies. I think Infinite has a pretty cover. I would pick Between the Devil and The Deep Blue Sea. Thanks for the giveaway! Curtsies and Conspiracies for sure! I love Gail Carriger! I'd pick A Darkness Strange and Lovely! We would choose fragile spirits. We also love this cover and the Landlocked. however, we love them all! I would probably choose Between The Devil and The Deep Blue Sea. 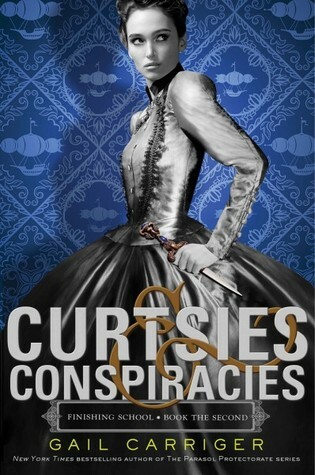 I also love the cover of Her Dark Curiosity :) Thanks for the giveaway! I would choose The Wicked Within. I like the book cover of Forgotten Sins by Rebecca Zanetti. Probably Curtsies & Conspiracies, I adored the first book. The covers for Salvage and Cruel Beauty are also beautiful. Thanks for the giveaway!